Payments made by the lessee at the inception of a leasing transaction. 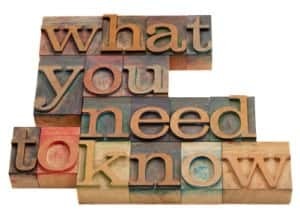 A breakdown of periodic loan payments into two components: The principal and the interest. A tax deduction representing a reasonable allowance for exhaustion, wear and tear, and obsolescence, that is taken by the owner of equipment and by which the cost of the equipment is allocated over time. Depreciation decreases the company’s balance sheet assets and is also recorded as an operating expense for each period. The period during which an asset is expected to be useful in trade or business. The price for which property can be sold in a transaction between informed, unrelated, and willing parties, each of which is acting in a rational manner and in their own best interest. A contract through which an owner of equipment conveys the right to use its equipment to another party for a specified period of time with specific periodic payments. 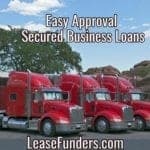 A schedule to a Master lease agreement describing the leased equipment, rentals and other terms applicable to the equipment . The party to a lease agreement who is obligated to pay the rentals to the lessor and is entitled to the use and possess the leased equipment during the lease term. 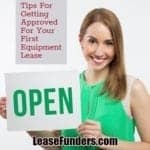 The party to a lease agreement who has legal or tax title to the equipment (on the case of a true lease), grants the lessee the right to use the equipment for the lease term and is entitled to receive the rental payments. A continuing lease arrangement whereby additional equipment can be added from time to time merely by describing that equipment in a new lease schedule executed by the parties, The original lease contract terms and conditions apply to all subsequent schedules. To be contrasted with a lease contract for a single transaction involving a specific unit of equipment, a Master Lease is essentially a line of credit to draw from over time in order to purchase equipment. The lessor does not automatically transfer ownership to the lessee during or at the end of the lease term. The lease cannot contain an option to purchase the asset at a bargain price. The present value of minimum lease rental payments is less than 90 percent of the fair market value. Periodic payments that are due at the beginning of each period. Periodic payments that are due at the end of each period. The discounted value of a payment or stream of payments to be received in the future, taking into consideration a specific interest or discount rate. Present Value represents a series of future cash flows expressed in today’s dollars. An option given to the lessee to purchase the equipment from the lessor usually at a specific date. The book value that the lessee depreciates a piece of equipment down to during the lease term, usually based on an estimate of the future value, less a safety margin. A transaction that involves the sale of equipment to a leasing company and a subsequent lease of the same equipment back to the original owner, who will continue to use the equipment. A lease that contains a payment stream requiring the lessee to make payments only during certain periods of the year. A feature of a lease that contains a payment stream that either increases or decreases in amount over the term of the lease. Tax-Exempt Entities, for purposes of federal income tax, generally include: any organization that is exempt from federal income taxes, such as non-profit charitable organizations; most foreign person or entities, unless a significant portion of their gross income is subject to federal income tax; and finally, any federal, state, or local government. A generic term for a lease in which the lessor takes the risk of ownership and, as the owner, is entitled to the benefits of ownership, including the tax benefits. The period of time during which an asset will have economic value and be useful. The useful life of an asset is sometimes called the economic life of the asset. 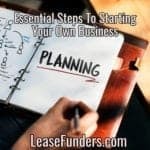 To qualify as an operating lease the property must have a remaining useful life of 25 percent of the original estimated useful life of the leased property at the end of the lease term, and at least a life of one year. To trade in leased equipment for a newer, more advanced model during the term of the lease.